Last week, while making the most delicious Lentil Burgers I’ve ever tried, my stick -mixer-thingy-ma-bob died (sorry struggling with words today 🙂 ). We need a new tool in the kitchen to help me cook. Because we wanted to make another batch of the burgers, and I use my sticky thing every day to make my smoothies for breakfast, we began searching for a replacement. 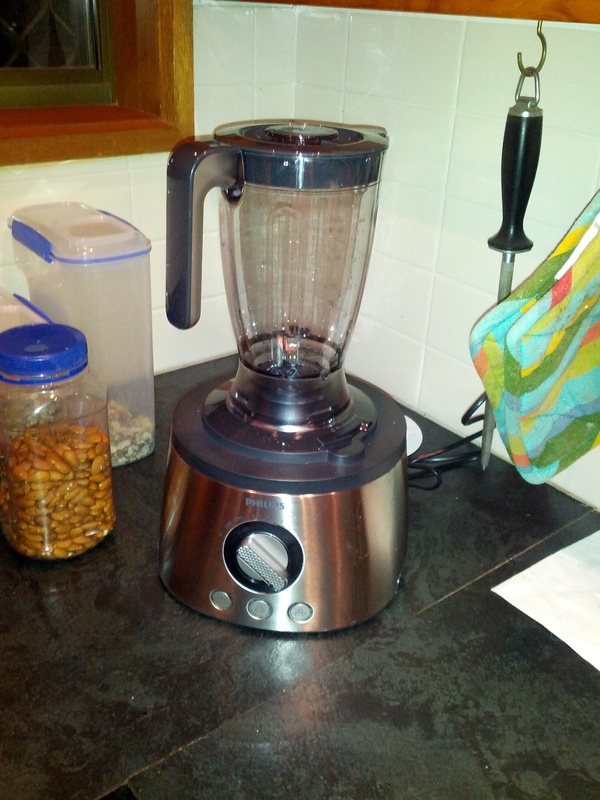 A few difficult discussions and some online research latter (I didn’t do enough research or considering the first time) we finally decided to replace it with a food processor/blender combo. As you can see in the photos above, we’ve set it up in the corner of the kitchen. Behind the base (not in photos above) I store all the different blades for the food processor. Having used it for about 4 days now, I’m already wondering why it took us so long to get something like this. For the lentil burgers, it halved the time it took me to make the patties. It doesn’t make too many more dishes to wash AND what dishes are made are easy to clean. 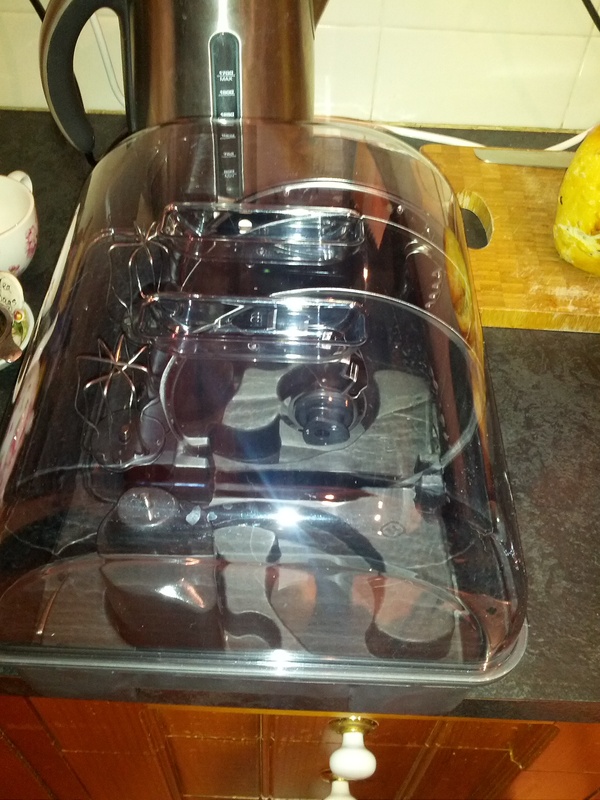 I would say having this will make it a lot easier for me to begin doing more cooking in the kitchen. I had already built up to trying to make dinner at least 3 nights a week and I feel this will make a lot of that a lot easier now. 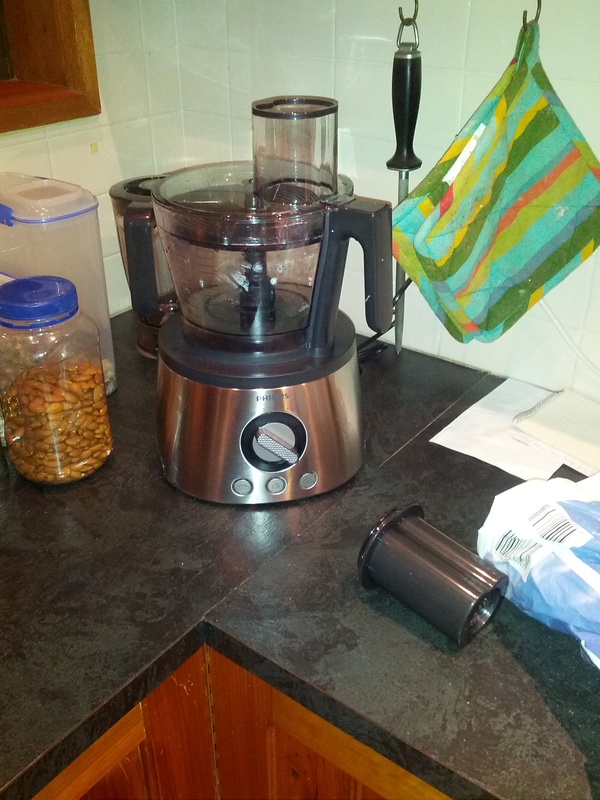 We also got another stick mixer thingy (but a cheap one) to mush the soup in the pot or make small batches of salsa, crushed nuts, etc (it has a small food processor bowl). Do you use appliances to make working in the kitchen easier? What appliances or tools would you recommend for others suffering from chronic pain and fatigue based illnesses?